The Dozer Blade is a versatile attachment for dozing, leveling ground and general earthmoving work. Hydro electric controlled angle and tilt using only pair hoses (12V power required). Angle and title cylinders are interchangeable and equipped with self aligning bushings. Reversible 3/4″ x 200mm bolt-on cutting edge & formed moldboard 8mm thick & 700mm high. Large 3” center pivot pin with hardened steel bushings. Full length high carbon steel, replaceable skid shoe. Set up to default in either tilt or angle position. Universal skid-steer loader quick attach mounting. 8 pin plus skid steer connection. 14 pin plug skid steer connections. 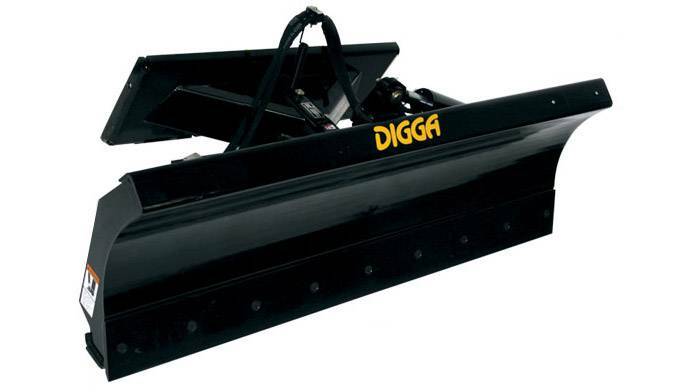 For pricing or more information about the Dozer Blade fill out the form and we&apos;ll be in touch soon. Alternatively call (08) 9457 1544.